When she goes low, she goes so low. And it seems that Switzerland’s Luca Hänni may well be talking about the woman behind the Eurovision 2019 betting odds. By the early hours of March 22 the bet makers had slashed Switzerland’s odds to win the grand final of Eurovision 2019 to as low as 7/1. His uptick in fortune comes as the bookies have widened Sweden’s odds. When we last checked in on March 17, John Lundvik had odds as low as 5/1. But his odds have now been raised and his best price is at 15/2. That’s dropped him down to fourth favourite and helped Switzerland rise toward the top. The change in the odds may reflect growing confidence that Luca’s song will maintain its energy and pace on stage in Tel Aviv. Swiss broadcaster SRF recently shared a photo of Luca with noted stage director and choreographer Sacha Jean-Baptiste following their first rehearsal together. Sacha is the woman behind several of the most talked-about stage shows in recent years, including Cyprus’ Eurovision 2018 performance “Fuego”. And while there should be no doubt about Luca’s ability to move, Switzerland also released a ‘making of’ video that showed him dancing in the offices of SRF juxtaposed with his actual moves in his official music video. The man doesn’t need a massive stage to shine! ?Swiss broadcaster SRF has confirmed to us that Sacha Jean-Baptiste will serve as Creative Director for Luca Hänni’s #Eurovision stage show of "She Got Me". The first rehearsal took place today. ???? ? Greece groes on me, I have to say. Oh and btw, that would be aazing if you all could vote in this, all you need it sending me your points! It will be a battle between Luca and Duncan for the win. Here is a list of winning probabilities based on not only odds, but also on youtube views and spotify streams. Only 14 songs have a statistically significant chance of winning at this point, and Portugal is not there. Sweden is barely ahead of Switzerland, thanks to spotify. Also keep in mind that Russian song was released late on spotify. Most people don’t vote based on views and streams. They vote based on the performance on that night. It is certainly an indicator of televising. It’s an indicator of streams. Nothing more. Nice try. What is YOUR problem? Let me guess, are you Romanian? My problem is when people post fake “winning probabilities” that have no connection to reality. Top 3 seems accurate to me. And what you said about Russia explains why I’m not saying “top 4”. For me, they are the candidates. And Cyprus or Switzerland complete the top five of possible winners. Without the amazing existence of dark horses that make ESC so fun. Iceland has a lot of youtube views because people heard about it and wanted to see it for themselves. Italy has a huge amount of youtube views and spotify streams, but a lot those come from people who live in Italy. I wouldn’t give too much weight to streams and views. The most overtated entry this year. I can’t even listen to this song after hearing those cringey lyrics. It’s like he is hitting puberty after chasing girls in his school. His good-looking face makes it more cringey. Just can’t get this song out of my head, it’s so CATCHY <3 I want to prefer others that might be more risky, more unusual, but damn, if this makes me so happy maybe I should just accept it and root for Luca and the Swiss to finally get a good result (it doesn't have to win, I doubt it will, but it doesn't matter because the Swiss can finally be proud again)! She Got Me makes me feel that they listened closely to chart toppers of recent years and created a song using the same formula. It’s definitely not the most inspirational entry this year, but it will probably do well. I am so happy for Luca and Switzerland this year. He may be having that success similar to Mikolas last year. Win or not, at least he is making his country proud. It looks like bookmakers are just reacting to “Fuego”s success from last year and protecting themselves against the songs that have the potential to perform just as well. Realistically, “She’s Got Me”, “Replay” and “Chameleon” have little chance of all being in the top ten and more likely, one of those songs is going to dominate that area of the votes. The safest bet of the three (at this point) would be Cyprus. At those odds, I see absolutely no value in backing Switzerland, however. I agree on everything. Fuego success is warning bookies. And one is going to dominate but I think the safest bet might be Switzerland just because I think people/families will connect easily with Luca rather than Tamta. Sasha will decide also which one she see with more potential and put more effort to it. Cheap and boring to death. Kobi from israel will surprise everyone in the final I have no doubt…. Underrated songs so far are Portugal, Malta, Armenia and I have a feeling that Germany will do once again well this year. Belgium was amazing, but Sennek had some kind of lack of experience on stage and we saw it. Sad: the song was gooood. But I understand that you think another way. About underrated: Portugal it’s too risky, and for that it’s unpredictable. Malta it’s a catchy song, and until now its direct competitors are Switzerland and Cyprus. We will see what happens (?). Armenia is the Ukraine 2018 of this year: powerful song with a charismatic artist to which people or juries will not pay enough attention. I think the real underrated here is Albania. Everyone is sleeping on Jonida. Absolutely agree on Albania. Betting sites are usually dominated by Western European players (and especially English), which can partly explain their ignoring of this non-westernised, traditional ballad. The betting odds at this point are so off a child can predict better. It’s not worth even discussing them. Why does wiwibloggs keep posting about them? The odds the week before the ACTUAL SHOW were still not accurate (where was Austria??). The odds are dumb. They fail so bad when it comes to the jury. Why even discuss them? Most overrated song of ESC 2019. Sweden will be top3 and we all know it! Switzerland stands out because basically there is no similar song in the contest and solid performer is a bonus. Spain is more party festival anthem, similar to France 2010. Has the Swiss song been performed live? If so, is there a link someone could share? I think the staging has to be fuego-levels hot for this to win. He might deliver that, given his other material, but the video was weirdly unsexy most of the time. Say what you will of past winners, but most of them in recent years (besides maybe “heroes”) had something more to them beyond being good/catchy pop songs – each in its own way. I don’t see this one having it, unfortunately. The song is very nice, but lacks that special X factor to be the winner. exactly, and everytime i see him, i just dont see a winner. Mans, Loreen, Netta, Jamala and Sobral all had something extra. I dont know how to name it, i guess its called x-factor ;), but they had something special. Agree I don’t see this entry as a winner right because it lacks that special vibe. They all had excellent vocals and presence on stage. These odds are meaningless. They will change multiple times between the contest. They will change drastically after the rehearsals. And they will still be wrong. Last year the odds were wrong for most of the top 10. They totally fail to predict the jury vote. Exactly. Most of the top 10 were wrong last year. Austria was nowhere near correct – not even on the stratosphere. Same with Ireland. They were SO wrong. Cyprus was not rated high at all until the rehearsals. Then suddenly it changed. The bookmakers odds are so irrelevant at this point in the season that wiwibloggs should not even report on them. I wish Switzerland the best, I really do, they should be in the final god knows how many times, but I simply cannot fall in love with “She Got Me”. Luca is talented and handsome performer no doubt, and SJB can make miracles happen on stage when she wants to, but the song itself is… meh? Radiofriendly and current, but it’s just not remarkable. A big collage of recent hits that I just don’t get. Well, time will tell. To be honest, if Luca finishes inside the top 10, I‘d rate this as a massive success. In Switzerland, popularity of ESC is currently in a low, most people think that SRF should spend their money elsewhere, but I‘m happy that they still do ESC and only for that reason, I hope that Luca climbs the scoreboard. However a Top 5 or even Top 3 finish would be absolutely breathtaking! Luca deserves to win. “She got me” could be an international hit. I think Sweden is way overrated for this simple and predictable song. So being fourth favourite at the moment is something they can be happy with. Switzerland’s song is catchy and entertaining and for me the actual ranking is ok, because there are no real better songs in the competition this year IMO (except Azerbaijan that should be higher up). I tried with all myself to like this, but it just doesn’t feel “authentic” to me. It’s like him and his song (which is nothing special honestly) are going two different ways and don’t cross their paths even once, not sure if I can explain this… They just don’t connect. And the chances I’m buying SJB’s staging are lower than Luca’s betting odds. As a Swede i can see both Switzerland and Sweden in top 10. 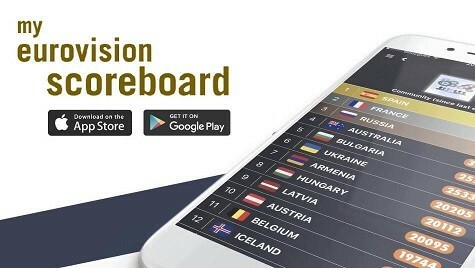 I can also see Australia and Slovenia in top 10 but i cant see Portugal in top 10 at all. Iceland maybe. Netherlands and Russia in top 10 to. Portugal is a winner alert! Not much is up with Greece. There was a video of Katerine singing in the studio and hitting a high note which probably certified that she does actually have an amazing voice or at least as good as the recording. I really can’t picture switzerland that high. The song is good and will probably do well and give Sitzerland it’s best result in years but that high? SJB is a hit or mess these days. But who knows.. I can see the rest of top 5 being Netherlands, Sweden, Russia, Italy though! I like this song and I am hoping it will do well after so many of failure for Switzerland, but third with the odds? Mmm…it makes me frown quite a bit, especially considering it is above Italy Iceland Portugal Greece Norway and Cyprus…I don’t know…It should be high but not that much Imo. I said it the other day when SJB was announced as creative director. That Switzerland’s odds will go up. I do not get the hype about this entry. A desparate Fuego/Despacito attempt. Televoting may push it in finals, but I do not see it ending in top 10. Im not a big fan either, and lets face it as a song its just not enough to be a winner. I miss originality. But im sure it will be in the top 10 in the final and it could be a hit in Europe. This is remarkable for Switzerland. When I listen to the song, i always think the lyrics are way too awful for a winner song, but then I remember that nobody actually listens to the lyrics. One thing is for sure though: Switzerland should keep selecting internally. Their NFs have been a long, amateurish road to nowhere. This is so much better. (a road to nowhere except for the treasure that was Sebalter, obviously. He could be selected internally next year). I miss Sebalter. By far my favorite Swiss entry. I still have nightmares about The last of our kind and Timebelles. Last year they didn’t qualify either. Timebelle was fine, it was the staging that sucked. Last of our kind was just plain bad. If Switzerland qualifies and gets a high enough place, they should stick to internal selection. Switzerland will qualify for sure for the first time since 2014, and well done for them at last. However in the final, I think the song could finish anywhere, either low or high. Lucas live vocal will be the ultimate decider. IMO whereas the jury might give fewer points for bad live vocal the public might be forgiving. I really wish it for Luca and Switzerland to have a great show on stage and even to win the Eurovision (even though my heart beats for Italy, Mahmood and Soldi). I don’t care anymore who wins to be honest, but I want Luca to smash that stage. I want to see every year something I haven’t seen before, in a good way, of course.